Ford bills the 2012 Focus All-Electric ($TBA) as the world's first-ever first five-passenger all-electric vehicle - a car that doesn't need even a drop of gas or an oil-change. Dandy, eh? It joins the ranks of the likes of the Nissan Leaf; but with its purchasable 240-volt charging station, the Focus Electric can be fully-charged in half the time it takes for the Leaf to do the same. The vehicle can be as easily charged as a mobile phone; plug it in overnight and it'll be ready for a day's ride when you wake up - that's the end for paying for gas at the pump. Hell, you can even monitor its charge via a mobile app. 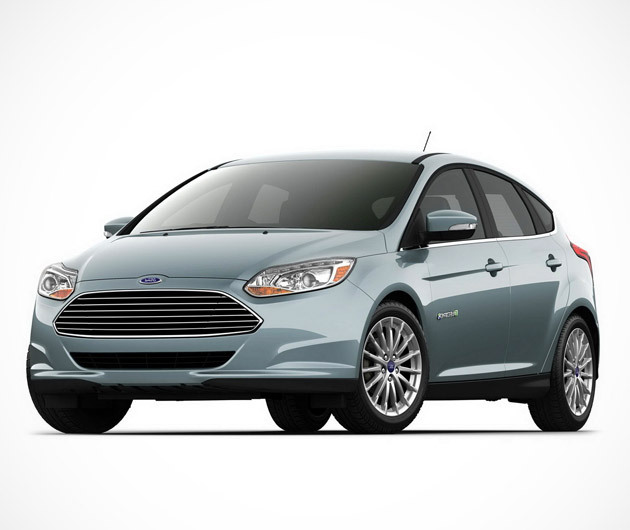 The revolutionary Focus sports a combined fuel efficiency rating of over 100 MPGe, enabling you to have a smooth, near silent, and guilt-free ride.